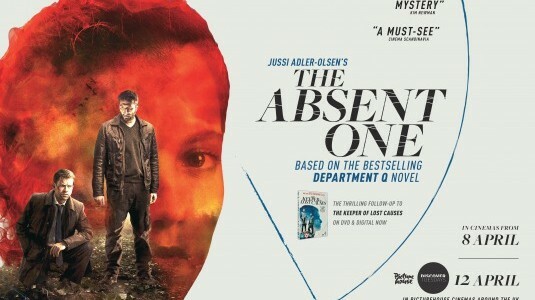 Even though The Absent One adheres to quite a few Nordic crime thriller cliches, it manages to overcome them with great performances and conviction in its dark, disturbing themes. Brooding and unflinchingly grim, it’s definitely true that Mikkel Norgaard’s follow up to 2014’s The Keeper of Lost Causes fits snugly in to the pantheon of dour Nordic-noir that we are now surrounded by, but that doesn’t mean that it falls by the wayside at all. 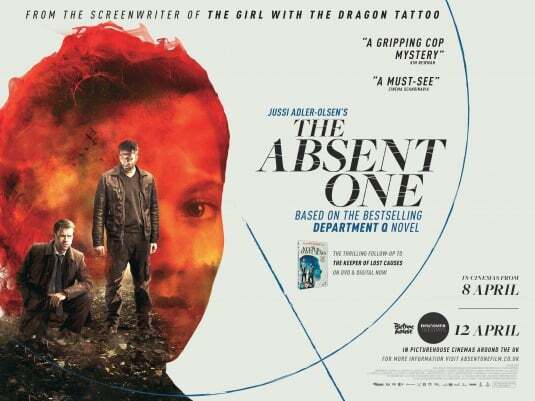 The script, adapted by the talented Nikolaj Arcel and Rasmus Heisterberg from Jussi Adler-Olsen’s book, is intelligent and effective, maintaining the film’s sense of unease throughout and never flinching when confronting the nature of the crime that is investigated by its main detectives. It’s also put together in a more satisfying way than its predecessor, which was sometimes bogged down by its flashback sequences. This film utilises the same plot device, but ensures that it’s used to show the evolution of some characters from what they were in the past to what they are now, and does a great job of building the sense of tension and creates an unsettling atmosphere that never dissipates for the rest of the film. We follow Department Q, where cold cases are supposed to be filed and closed with minimum fuss, but where Carl Mørck, as played by Nikolaj Lie Kaas, has other ideas. He endeavours to solve as many of the cases as possible with the help of his partner Assad, played by Fares Fares. The case that captivates them this time is the murder of two teen siblings twenty years ago that was apparently solved with someone prosecuted for their murder, but not to Carl’s satisfaction, who is convinced that more people were involved. What follows is a twisted and powerful tale that follows the exploits of some teenagers from a posh boarding school and who they grew up to be. In the wrong hands, Carl and Assad’s characters and relationship could have been so by-the-numbers and unoriginal that it just wasn’t interesting, but Kaas and Fares inject enough life and magnitude in to them that it feels fresher than it could have been. Carl is a brilliant detective but cynical, arrogant and perpetually moody while Assad often tries to be the voice of reason to temper Carl’s incessant ability to fixate on a case. This dynamic works particularly well in this film, where the case the duo are working on seems like a total dead end for a long time, and Kaas and Fares are excellent, even managing to inject some dry wit in to a few lines. The whole cast manages to capture the tone of the film very well, making it an easy one to fall in to, taking you on a two hour thrill ride that indulges in its nastiness to just the right degree. Its major triumph is to both acknowledge and overcome its well-worn tropes, and it’s not surprising that we will see more films in the series make their way over from Denmark soon.